If you’re looking to make someone’s holidays merry and bright this year, we can help. We’ve got smart holiday gifts for everyone on your list, even those who may be hard to shop for. They’ll appreciate a thoughtful gift that makes their lives better, and you’ll appreciate how easy it is to wrap up your holiday shopping with one simple stop. Gift the music-lovers on your list with sound that sleighs! 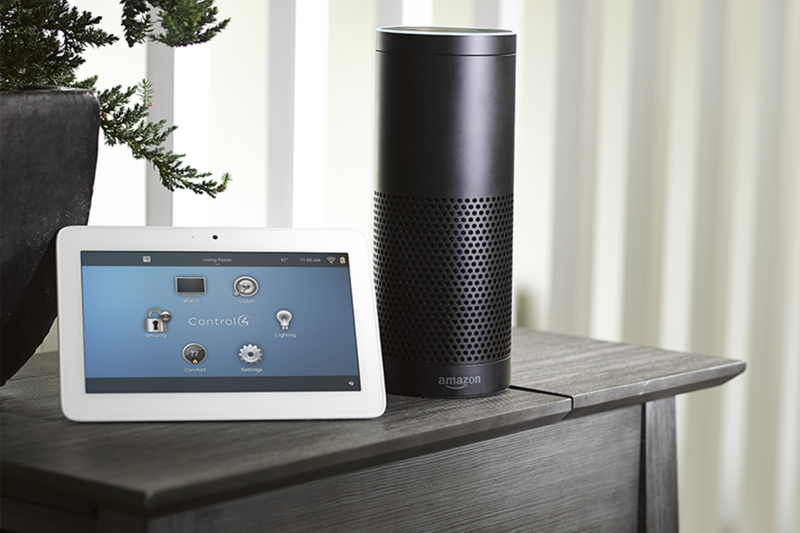 We offer smart speakers that wirelessly connect for superior whole-house sound, including the option of voice control, at a range of price points. 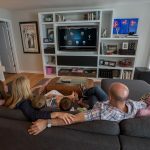 Help a movie-buff deck out their home theater with speakers that can be paired for life-like surround sound. Add a subwoofer that really brings the bass to make Christmas classics—like Die Hard (am I right? )—rock the house! Temperatures drop as the holidays heat up, but you can keep loved ones cozy and warm with the gift of a smart home thermostat. Today’s options allow users to program in-home temps to rise and lower automatically. They can also adjust settings with voice control or remotely from their smart device—and save money on their utility bills, a bonus gift they’re sure to love! We offer a range of other home comfort and convenience gift ideas as well. With our full-service electrical department, we can put control of nearly any home function into the palm of a hand, including fireplaces, emergency generators, programmable window shades, garage door openers and much more. From trees to menorahs, candles to stars, light plays a big part in most holidays celebrations. It also makes a great gift. Programmable and voice-controlled lights can enhance a home’s convenience and mood, as well as its safety and security. Elderly friends and family will appreciate the ability to turn lights on and off with the sound of their voice, instead of reaching for switches. Entertainers on your list can pre-program lighting settings and other features for dinner parties, movie nights and more. Almost anyone will appreciate never having to come home to a dark house with lights that come on automatically when the sun sets. Avoid jam-packed malls and high website shipping fees. Visit our relaxed showroom to see our products in action. We’ll devote our attention to helping you select the perfect gift for everyone on your list. Already know what you want? Contact us and our elves will fill your order, so you can spend your time enjoying the holidays, stress-free.